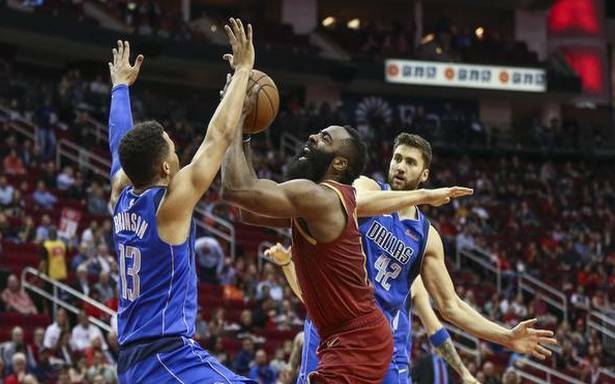 James Harden took his streak of consecutive games with 30 or more points to 30 as he scored 31 in Houston Rockets’ 120-104 victory over the Dallas Mavericks. Harden is only the second player in NBA history after Wilt Chamberlain to score at least 30 points in 30 successive games. Elsewhere, Kawhi Leonard scored 30 points, including the winning basket, as Toronto Raptors edged past Brooklyn Nets 127-125. Isaac Hayden’s first goal since 2017 seemed to have put Newcastle United on their way to victory and three points in the Premier League game against Wolverhampton Wanderers on Monday. They had to be content with one point, however, as goalkeeper Martin Dubravka’s howler handed Wolves an equaliser through Willy Boly.